With what feels like never-ending dark mornings and a long stretch ahead to Easter, we understand that bouncing back after the festive break is easier said than done. While we hope you found space to relax and recharge for all-important semester 2, we know for some of you the reality would have been more mark schemes and revision than mince pies for Rudolph. 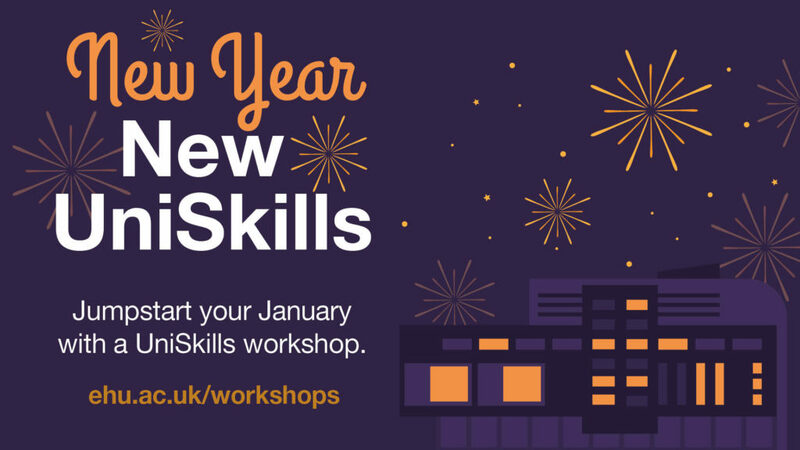 To help switch that study-mode back on and get your critical-thinking cogs turning again, we’re running a January campaign in collaboration with Student Wellbeing jam-packed with informative and inspiring workshops. This session demystifies some common academic language found across marking criteria. Don’t know your evaluation from your synthesis? This one might be for you. Students are also welcome to bring their own departmental marking rubrics for group de-coding! An introductory session to mindfulness, building resilience and learning to cope with uni life. Come along for some positive time out! This session is provided by Student Wellbeing. Jumpstart your January with tips and techniques to motivate yourself and avoid procrastination. Learn to manage your time, set achievable goals, and make study fun! Come along to a calm, safe space for a spot of mindfulness. Learn to be in the moment, de-stress and calm your mind and body. From notetaking and utilising your tutors’ office hours, to accessing your reading list, this workshop will show you how to make the most of your contact (and non-contact!) hours and find a study strategy that works for you. The good news is all sessions are ready to book now, but don’t hold back as spaces are limited and sure to fill up fast. Will 2019 be your year? So dust off those planners and sharpen your pencils, it’s time to make some #UniResolutions!